Love the vivid colors, stunning portrait! Wow this is just an amazing portrait. Its great in color and I bet it makes an equally amazing black and white too. great intensity .. pretty intimidating experience (just to view) .. true National Geo material .. BRAVO! I absolutely looove the color, vividness, and the depth of your work. Thanks for sharing your work with the world! (HK)Thanks Latarsha, though please do not post any spammy URL’s as they will be removed. Wow…amazing colors…I wonder what they Mean? Amazing photos in your blog. You are a great mountaineer ! 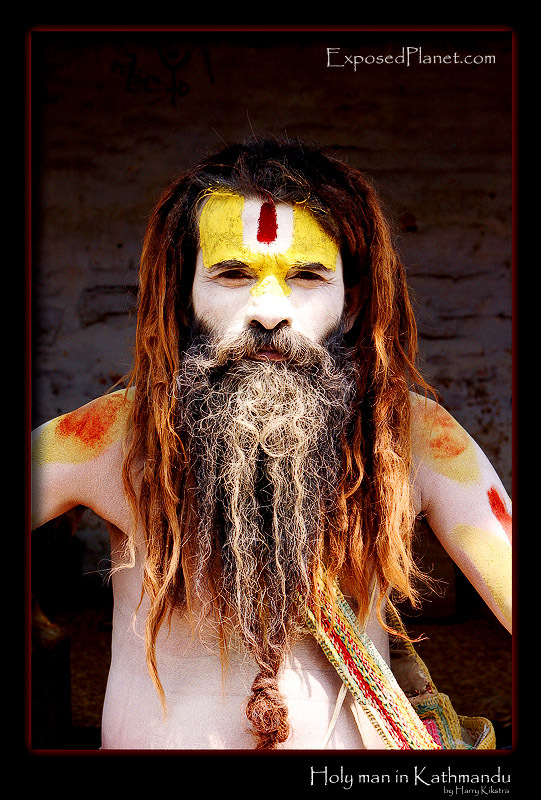 The story behind "Holy man at Pashupatinath temple in Kathmandu, Nepal"
One of the many ‘holy man’ that can be found near the holiest Hindu place in Nepal, the Pashupatinath temple, knw fro their open air cremations. These holy men cover themselves with human ashes. One of the many 'holy man' that can be found near the holiest Hindu place in Nepal, the Pashupatinath temple, knw fro their open air cremations.These holy men cover themselves with human ashes.